Afgelopen weekend kwamen de beste SUP athleten bijeen bij de Turtle Bay Resort in Oahu voor het finale weekend van de Stand Up World Series, georganiseerd door Naish. We kunnen met trots melden dat Naish teamrider Kai Lenny de felbegeerde 'Championship' titel heeft behaald! 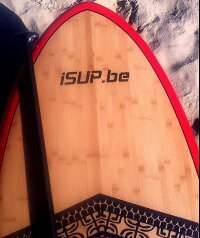 Hij eindigde voor Connor Baxter en Naish teamrider Casper Steinfath, die een mooie derde plaats overall heeft behaald! Kai Lenny had al twee van de drie wedstrijden gewonnen tijdens de World Series, maar in het finale weekend was het toch een spannende strijd tussen Kai en Connor. Nadat Connor de Long Distance race op zaterdag had gewonnen, was de druk groot bij Kai Lenny om op zondag bij de Sprint de eerste plek te behalen. Na een mooie strijd tussen Kai en Casper, beide met hun Naish Javelin Maliko 12'6 "X24 LE board, kwam Kai als eerste over de finish met zijn handen in de lucht. Hierdoor heeft hij voor de derde keer op rij de Stand Up World Series gewonnen. Ontzettend mooie prestatie. Zane Schweitzer (Starboard) wins the 2015 #SapinusPro - In an exciting and extremely close final that was lead by Caio Vaz (Art in Surf) for the majority of the heat, Maui born Zane Schweitzer (Starboard) was able to dig deep and find one of the best waves of the day in the dying minutes of the heat to score a 9.33 to secure a well deserved win. Zane now shoots into 2nd overall on the World Rankings, with Caio Vaz now taking the lead backing up a second at Sunset with a second here in Tahiti. With the first event of the Standup World Tour being at Sunset Beach, competitors expect big waves but this year wasn't a typical two weeks on the North Shore. With kona winds and swell the entire waiting period was used hoping to give athletes the best possible conditions. Watch here as the Naish Standup team takes on the conditions! Check out the highlights from Day 1 of the 2015 Sunset Beach Pro: big surf, challenging conditions and stand out performances. Behind the scenes action from the 2014 Stand Up Paddle World Series Finals at Turtle Bay, Oahu.